Vacuum brazing is categorized as a technique by its protected sealed environment under vacuum and extremely high temperatures greater than 800°C. 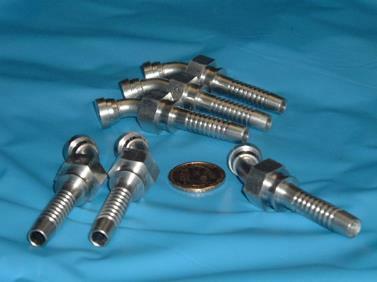 The main advantages of using vacuum brazing include achieving high integrity hermetic joints with minimal distortion. Vacuum Brazing is an advanced high temperature brazing technique which is performed at high temperatures (›800°C) in a protective atmosphere. Other brazing techniques are soft brazing (‹450°C) and hard brazing (450-800°C). Advantage of high temperature brazing compared to soft and/or hard brazing is that a joint is created with higher strength and higher quality, without using fluxing agents. Because of that, no undesired surface reactions will appear and the parts remain very clean and bright after the brazing process. Also the parts, after the high temperature brazing process, can be hardened with almost every hardening technique like carburizing, nitriding, nitrocarburising or vacuum hardening. It is even possible to do the hardening and brazing in one process. Vacuum brazing is usually a high temperature (typically 1700°F/927°C - 2250°F/1232°C), flux less process using nickel-base, pure copper and less frequently precious BFM. • The purity level of the atmosphere (vacuum) can be precisely controlled. Atmospheres of much higher purity can be achieved than can be obtained in regular atmosphere furnace, in effect; there is less residual oxygen to contaminate the work piece. • Reduced to a minimum distortion because all parts are heated and cooled uniformly at precisely controlled heating/cooling rates. • Repeatability and reliability of the brazing process in modern vacuum furnaces, ideally suitable for Lean/Agile manufacturing system. Two types of vacuum furnaces are available in the industry depending on material used for construction of hot zone. The choice of hot zone construction (heating elements and insulation) depends on the vacuum level requirement, compatibility with base material and braze filler metals, temperature requirements, and cooling speed. • Numerous braze alloys available: nickel, copper, silver, gold, etc. 5. Vacuum brazing, visited Sept 2012.